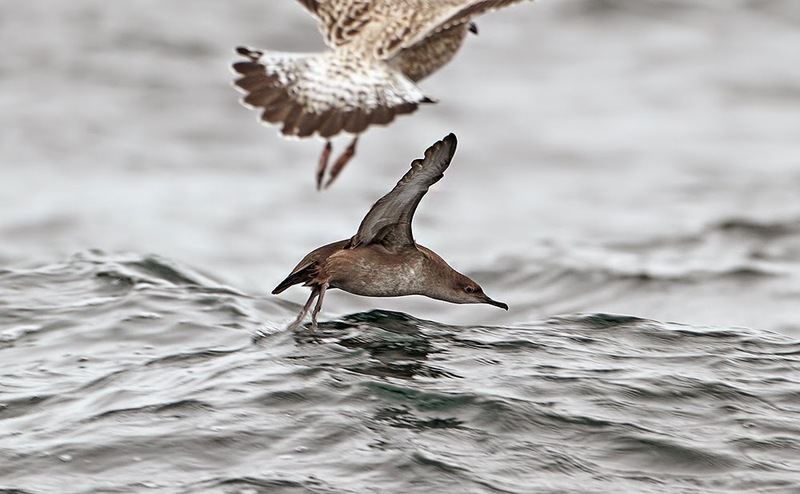 Right then, here we go day 2 of our pelagic weekend. It was 11am, and everyone was thinking, could this be as good as last night? The top one is not as good as the other two, but shows the legs/feet protruding beyond the tail. 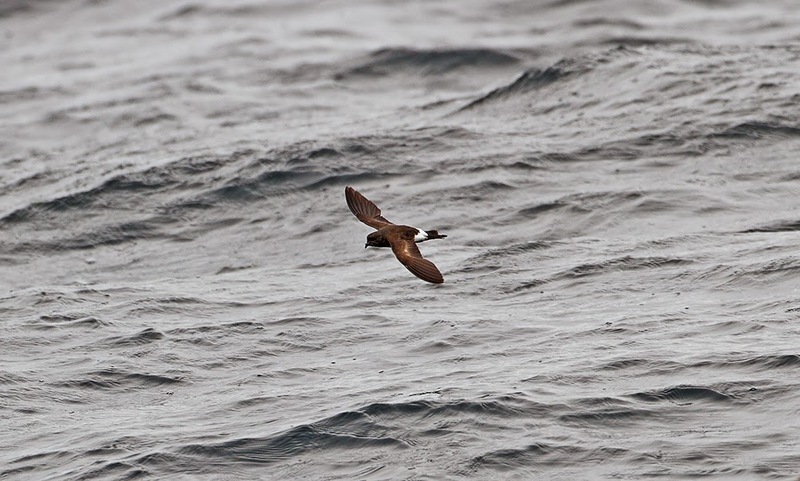 Which is one of some good features of Wilson's Storm-petrel. 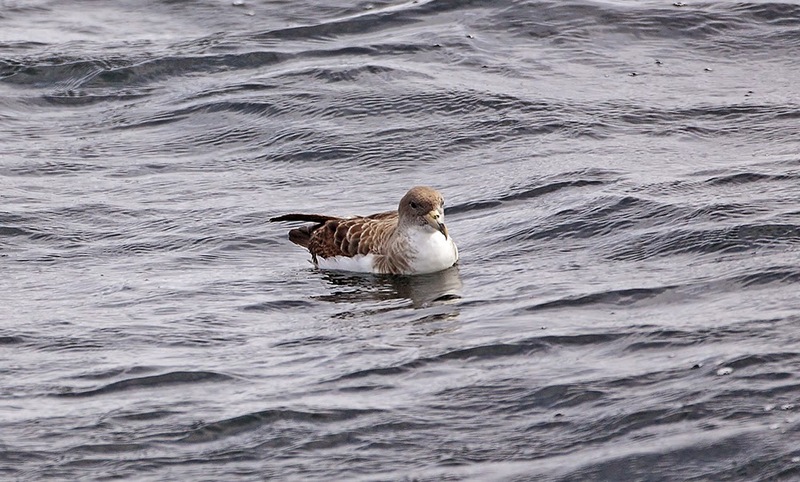 Manx Shearwater, Arctic Skua, Bonxie, 3 Common Scoter, and a Kittiwake were added to our list. We also had 2 more Blue Sharks. The Blue Sharks that are caught are tagged, and you can make out the tag, in this picture. 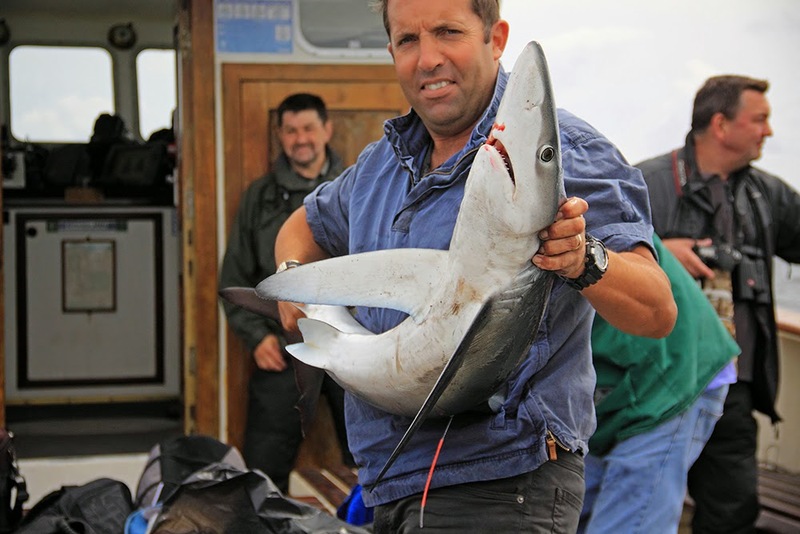 This Shark is being held by the boats Captain Joe Pender.....you can find out more about Joe and the Pelagic trips at www.scillypelagics.com. We also had an Ocean Sunfish today, sadly it didn't hang about to have its photo taken! 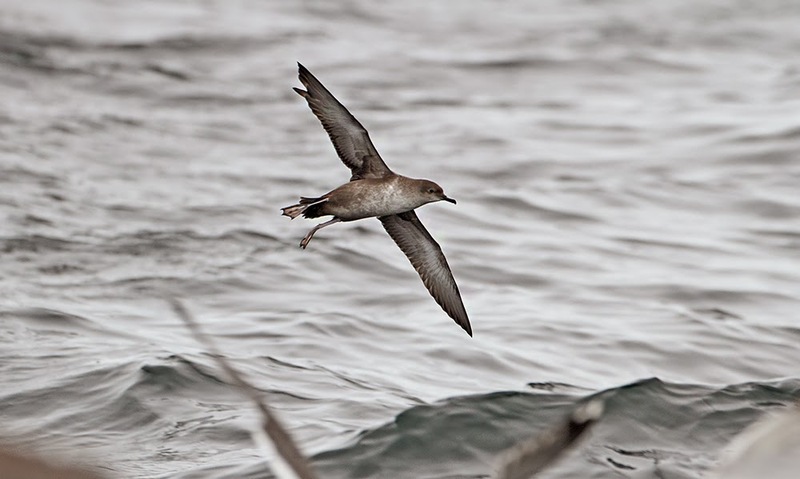 The light was fading, and we were starting the return journey, when a Balearic Shearwater was picked out. 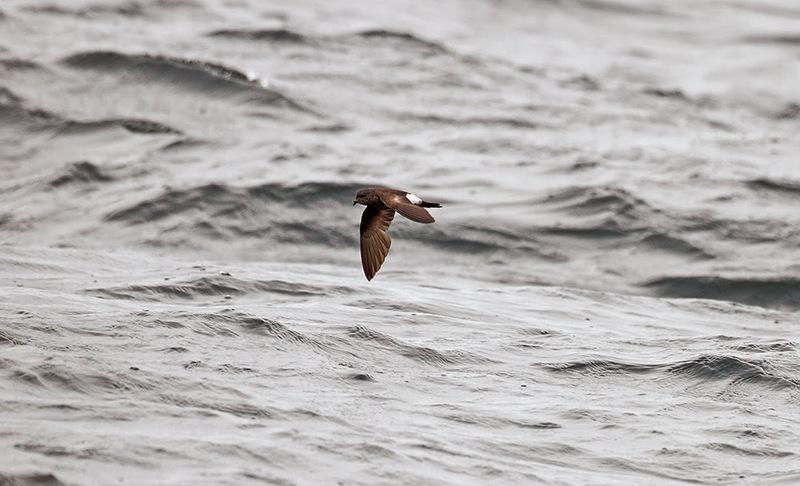 It flew quite close into the boat, and showed well, shame about the light though. Another was picked up a bit later, and followed the boat in for quite a way. So another cracking day was had by all. 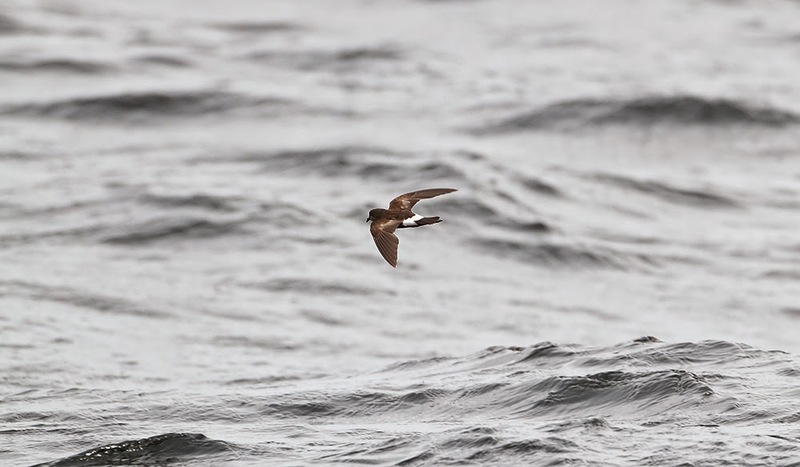 The numbers may have been down on last night, but were some good additions, including one special Wilson's Storm-petrel too. Now came the wait for Hurricane Bertha. This hurricane had been predicted for a while. 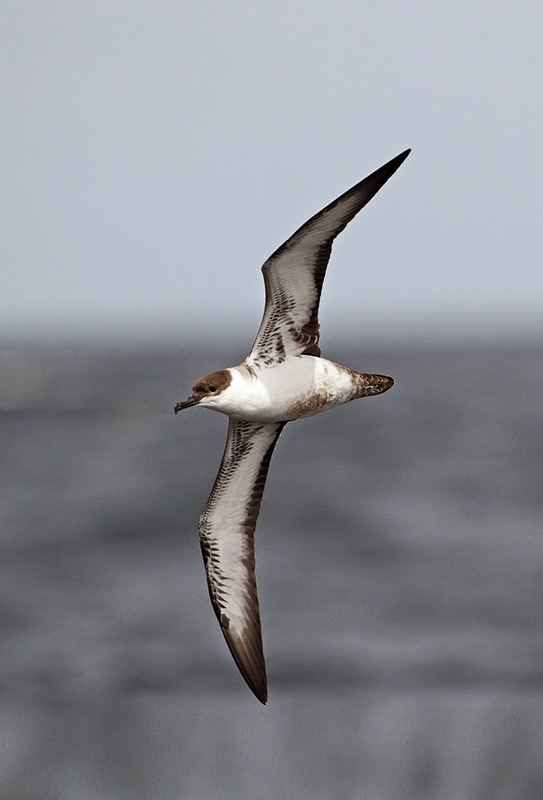 It had hit the East Coast of the USA, and had been tracked across the Atlantic, towards Britain. It was due to hit us overnight tonight, and the Scillonian III ferry had already been cancelled for tomorrow. We were supposed to be on that, to go home, but now we had an extra day. But, what would it be like on a small fishing boat out there tomorrow........more importantly, what would be out there with us??? ?